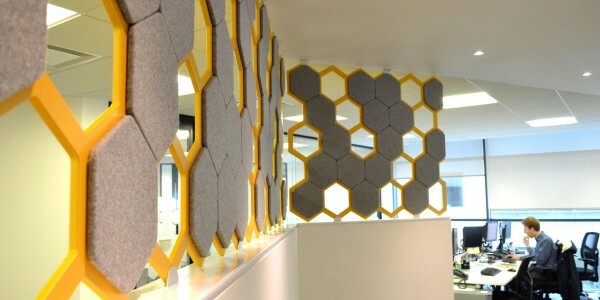 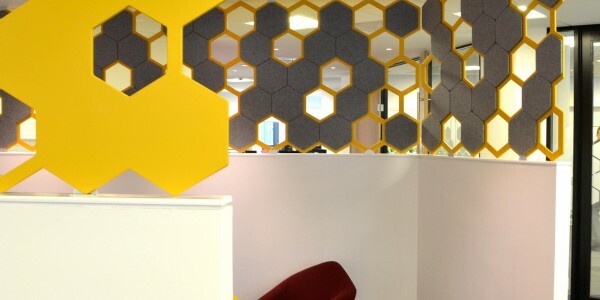 We have just finished another project using the ‘Hex’ screen, this time in an acoustic version for AON Insurance, Dublin. 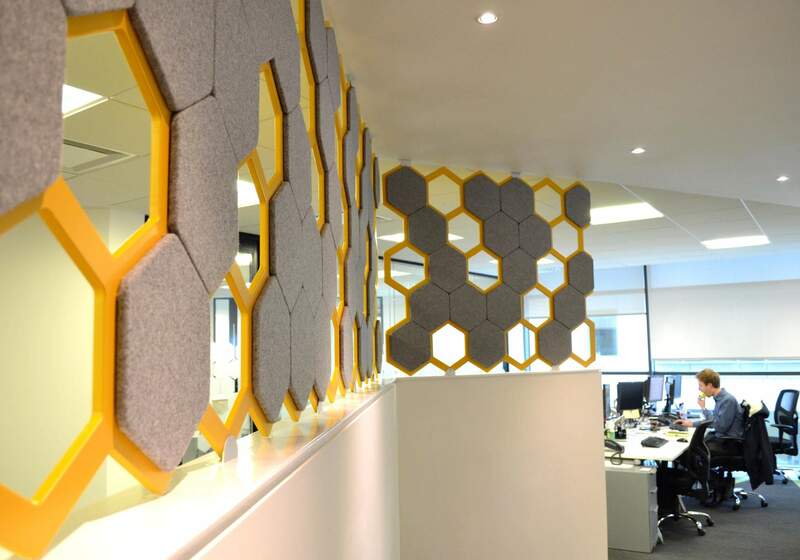 The project required a custom made series of 4 panels with wool covered acoustic boards on the inside and plain lacquered finish on the outside to match existing corporate branding through the scheme. 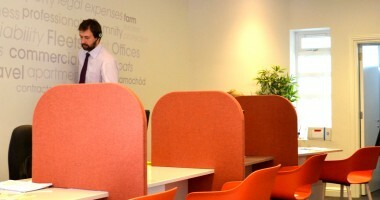 The meeting/ group working space has a mid height wall to define it so the screens needed to be mounted on top of this filling the space to the ceiling. 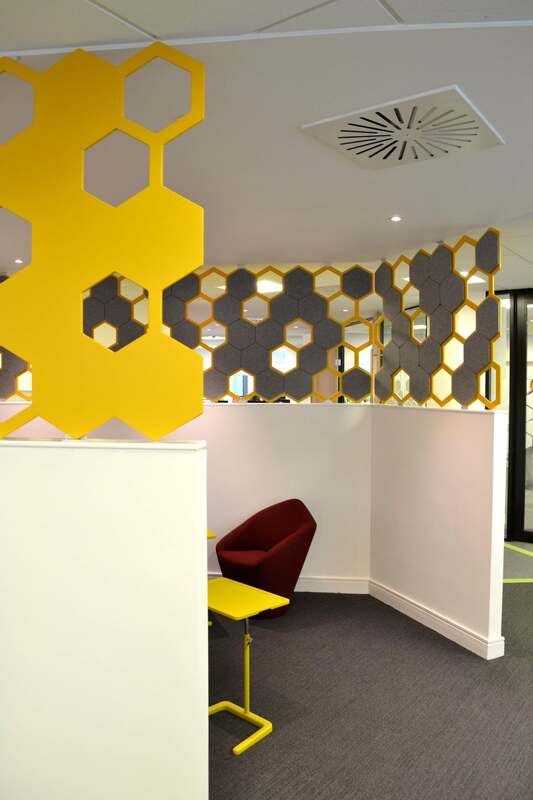 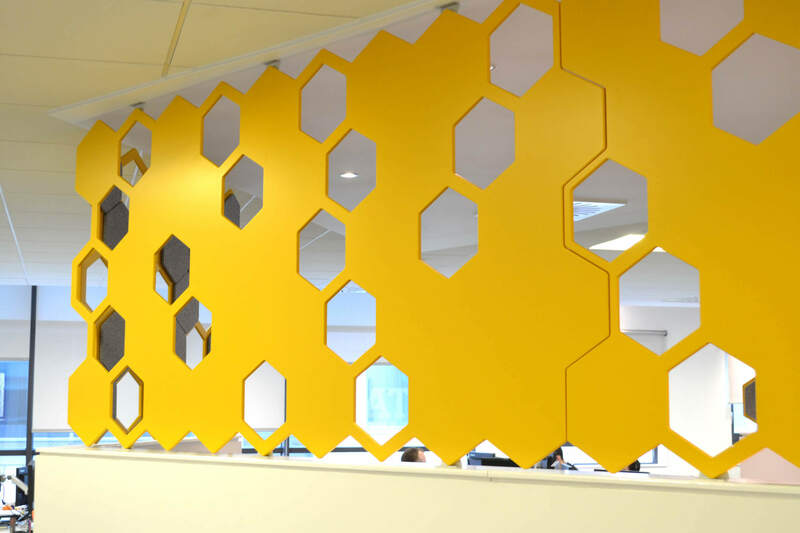 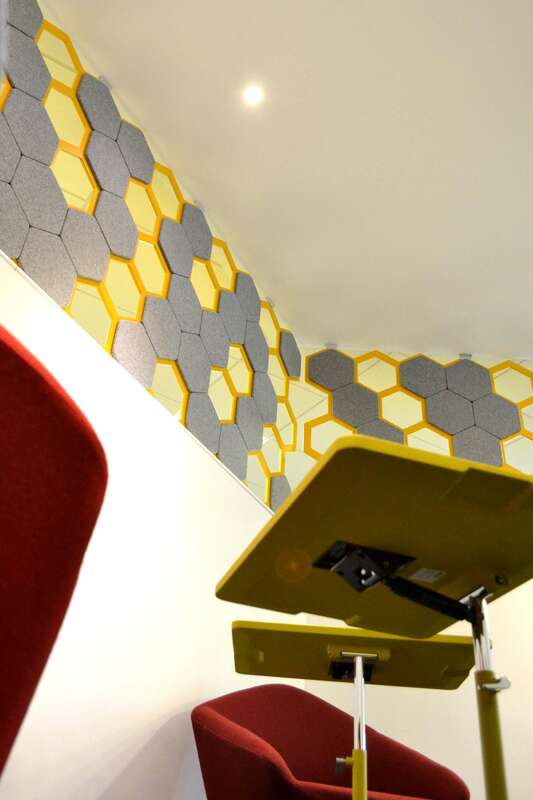 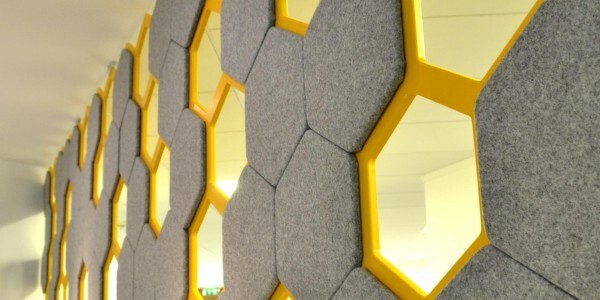 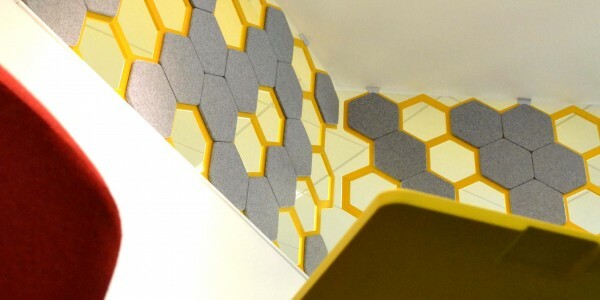 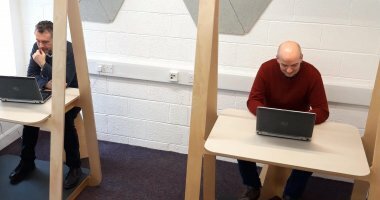 An approximate 60:40 % ratio of closed to open hex panels was created to give the space some privacy but not entirely close it off to the rest of the office. 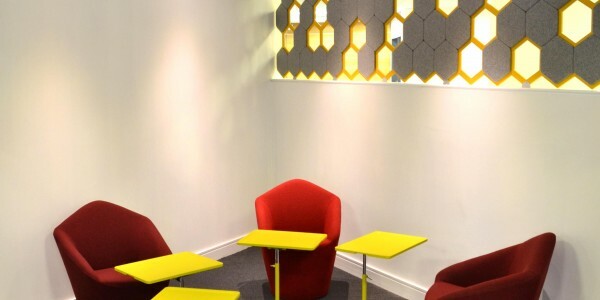 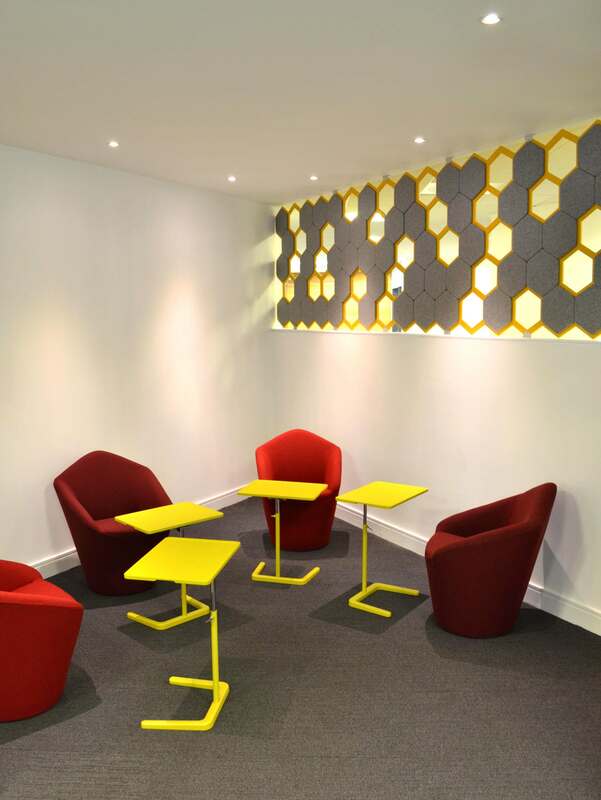 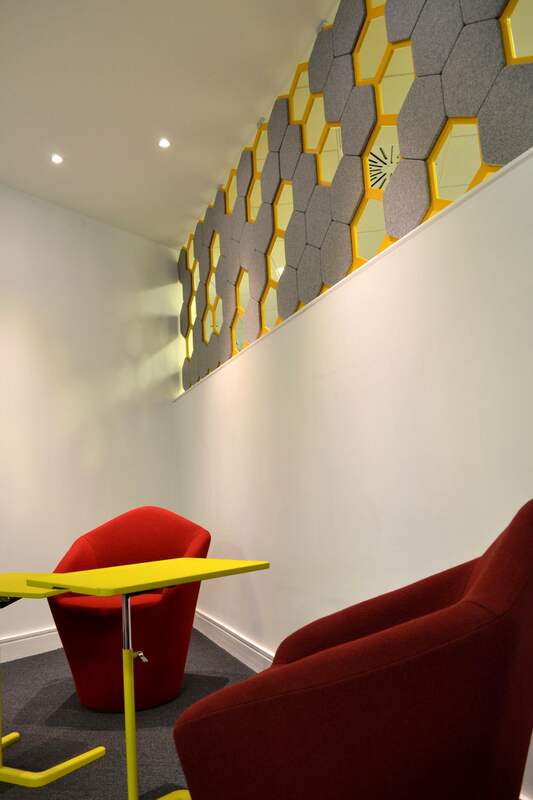 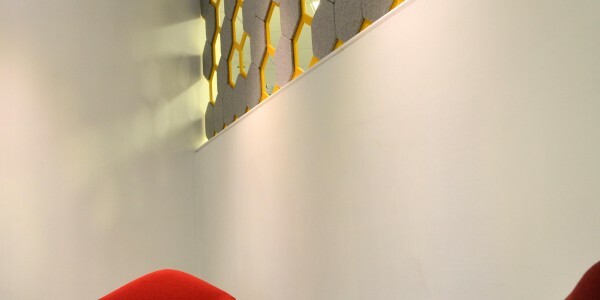 Camira 100% wool fabric was used in a light grey with a bright yellow again to match the interior scheme and branding. 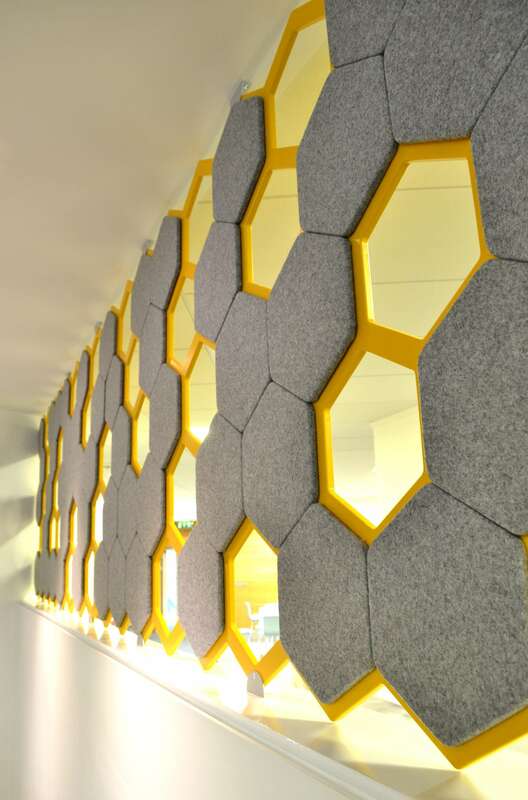 The wool covered hex panels press fit to the lacquered frame in a custom designed system for acuracy and a quality finish. 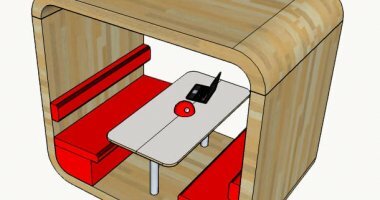 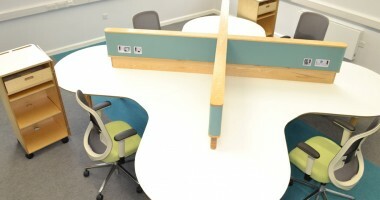 Any Camira colour can be combined with any BS lacquer for striking colour combinations. 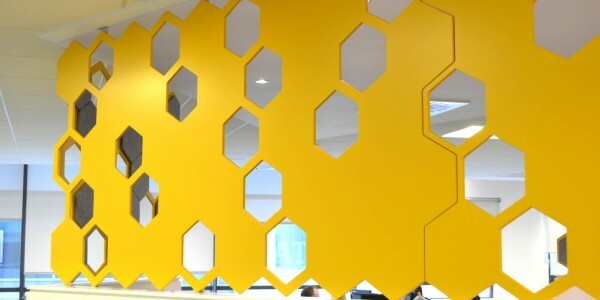 Polished Aluminium brackets are used to affix the screens top and bottom.